In recent years I’ve seen a lot of neat vintage looking Christmas ornaments in the stores. The ornaments have a glass globe or bell covering a little winter scene. I’ve been wanting to make some of my own but had a hard time finding small glass coverings to use. I had pretty much given up hope. 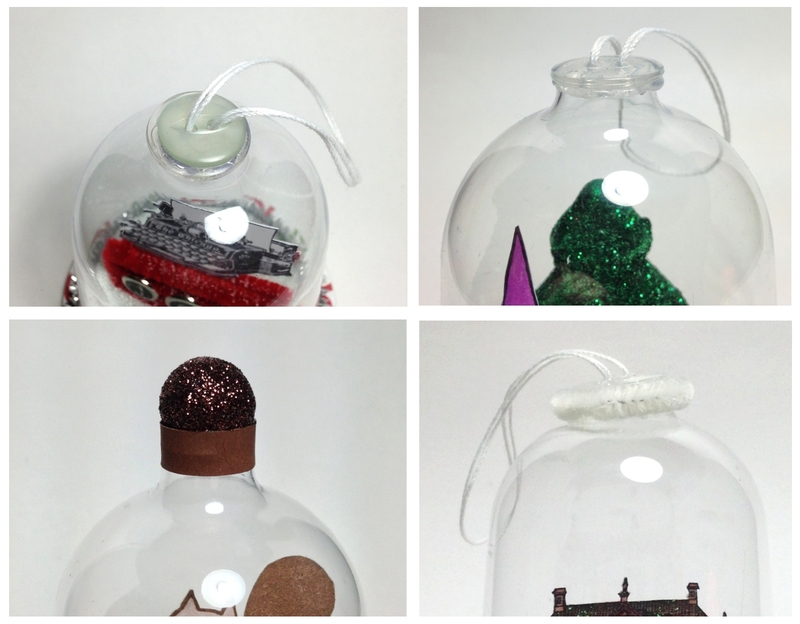 This year, my sister came across a tutorial called, DIY Vintage Inspired Bell Jar Ornaments, showing how to make your own using plastic wine glasses. 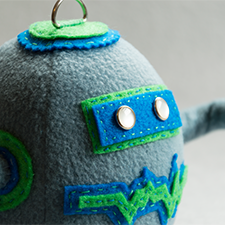 The idea for the material and how to turn it into a bell shape were perfect. I’m so glad she found this helpful hint which allowed me to finally make my own vintage looking ornaments. We bought our plastic wine glasses at the Dollar Tree. Lucky for me, my boyfriend has a Dremel rotary cutting tool and he was able to saw off the stems of the plastic glasses in just a few minutes time. I’m sure there are other tools you could use, but this was a suggestion in the tutorial we found, so we tried it. They won’t all be perfectly level, but handmade items are not always identical, and that’s why we love them! For this project, your must have tools will be scissors, a glue stick, and a hot glue gun. You can choose from any number or ways to decorate your snow dome. I made the bases using patterned scrapbook paper glued onto cardboard or a cereal box. Use a circle template to trace a circle slightly larger than the rim of the glass onto the cardboard. You can cut this out with plain or decorative scissors for different looks. 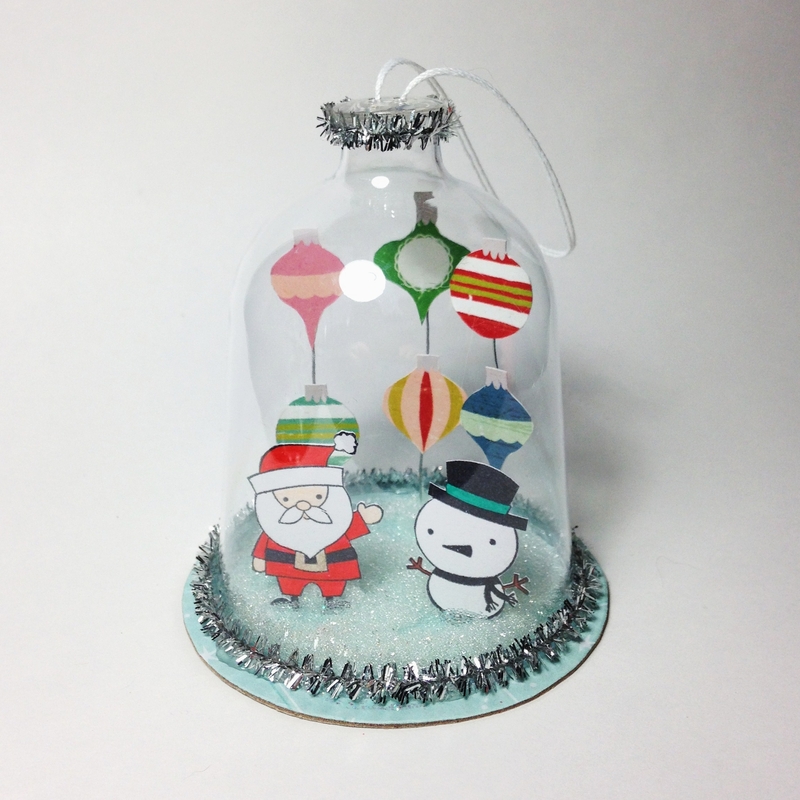 To decorate the inside of the snow domes, you can use little toys, figures, or objects. I had a lot of fun using my rubber stamps to create unique little scenes. I stamped my images onto white paper and colored them with pens and colored pencils. I carefully cut them out using an X-ACTO knife. I used a little line or dot of hot glue to make the paper images stand upright on my bases. Continue adding all of your stand up elements. Next, I glued the plastic dome onto the base using hot glue. 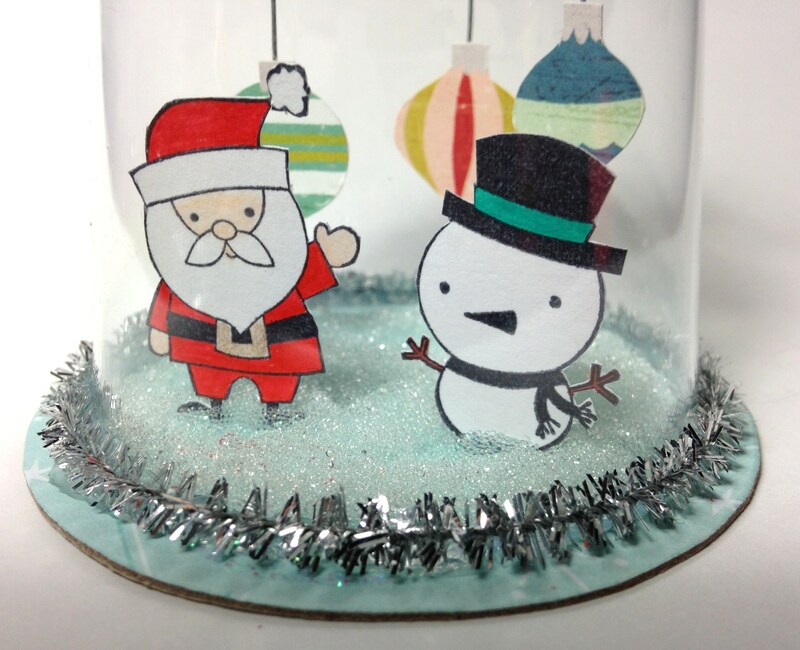 To cover up the hot glue line, trim your glass with ribbon, paper, glitter, or pipe cleaner. I used pipe cleaner because it is easy to shape and dries quickly with hot glue. Then, fill your dome with fake snow, glitter, confetti, or in my case, tiny glass balls called Micro Marbles. 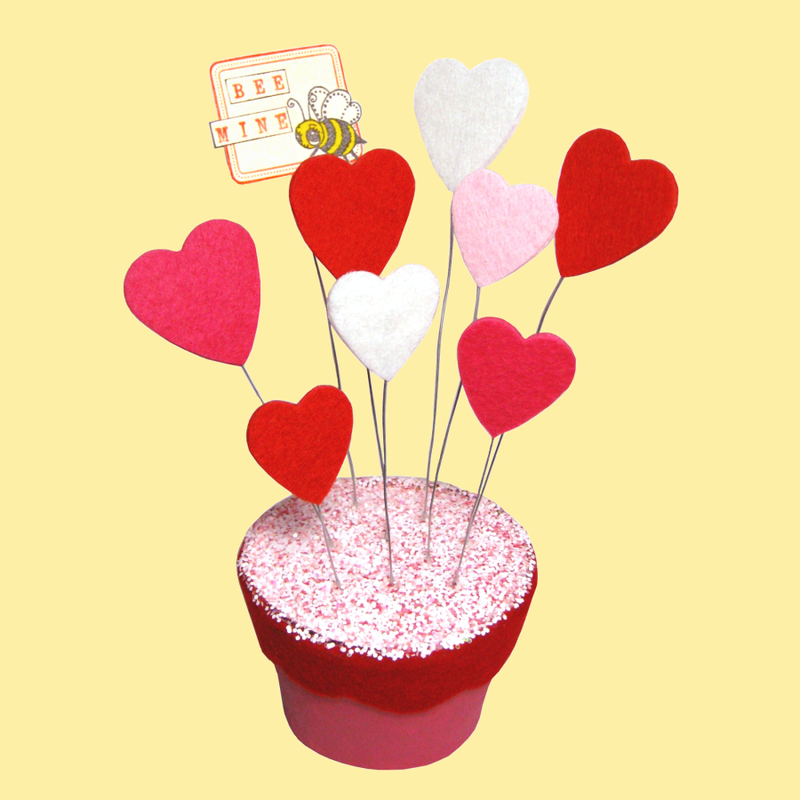 You can get these in different colors, and a lot of scrapbook brands make them. The clear ones I used have a nice snow/ice look to them. 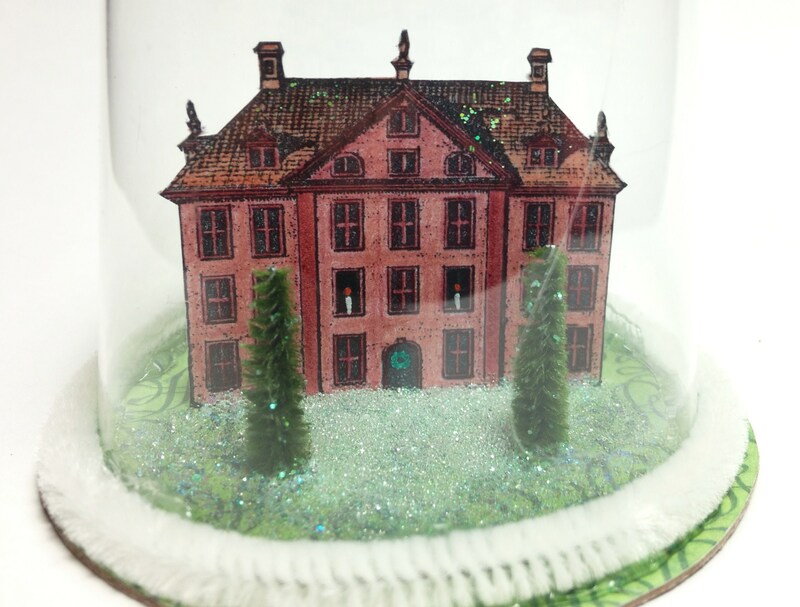 I painted the bottom with opalescent glitter before pouring in the clear glass marbles, just for added sparkle. To close up the opening in your snow dome, you can use a little hot glue and a bead or button. I had some clear buttons that were just the right size, slightly bigger than the hole in the glass. Tie your thread or string that you are using to hang your ornament through the bead or button and use a dot of hot glue to keep the string attached to the underside of the button, that way it won’t fall into your snow globe when it’s not hanging up. Remember to add your string before you glue it closed! I used the clear button by itself, but on others, I added a second button, or a matching pipe cleaner trim. 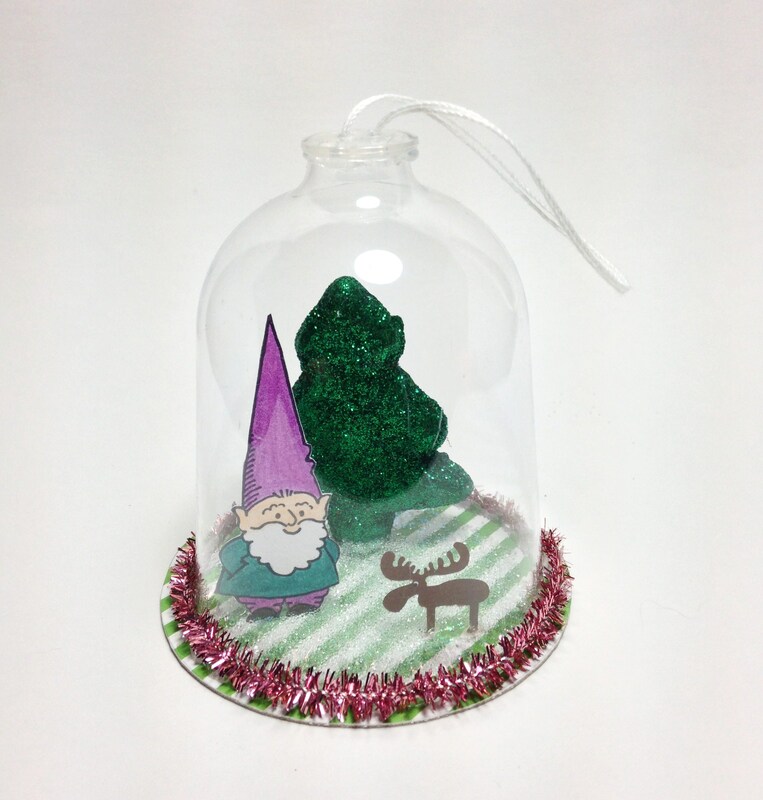 I even made a dome with a glittery ball that is just a shelf decoration instead of an ornament. The only limit is your creativity. 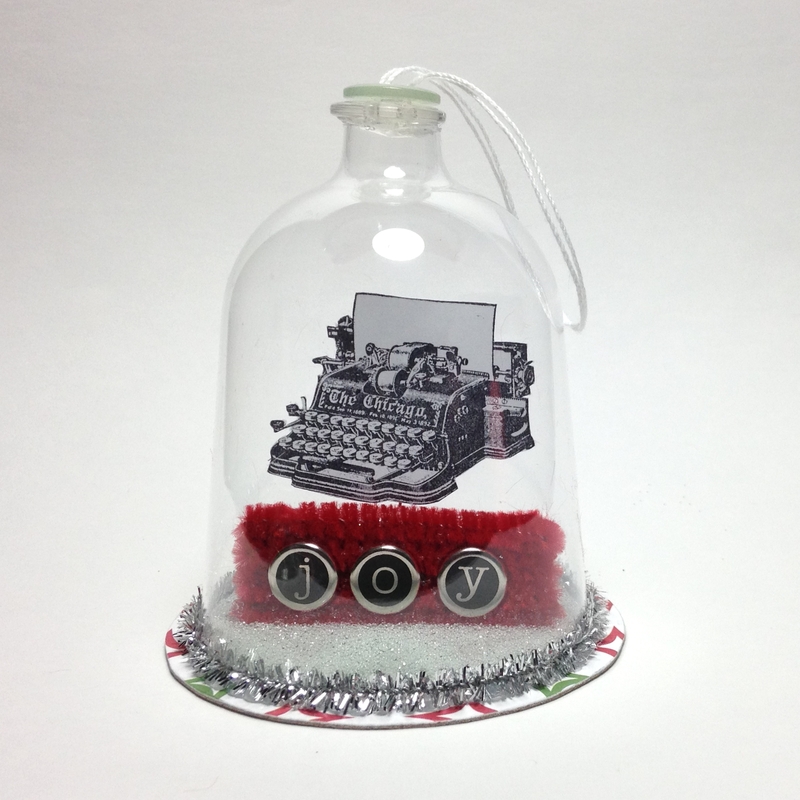 The above snow dome was made using a rubber stamped image of a typewriter, and metal brads in the shape of typewriter keys. By adding a seasonal message like the word, “joy”, you can turn any image into a festive decoration to match your interests or decor. I love this rubber stamp of a great big old house. I use it for lots of things but couldn’t resist adding simple touches like candles and a wreath on the front door. I made little trees for the front by trimming green pipe cleaner at an angle to create the shape of a tree. You could make these using photos of your own home or special restaurants or hotels to commemorate events. 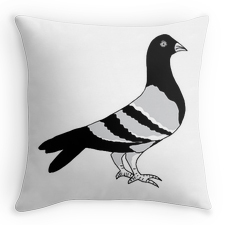 These would make a special gift for those hard to shop for people we all know. As you can see, I was having way too much fun with these! Don’t limit yourself to Christmas ornaments, or even ornaments for that matter. Above, I made this adorable squirrel that will look great displayed on a shelf, mantle, or table. This woodland dome will look great all year round. 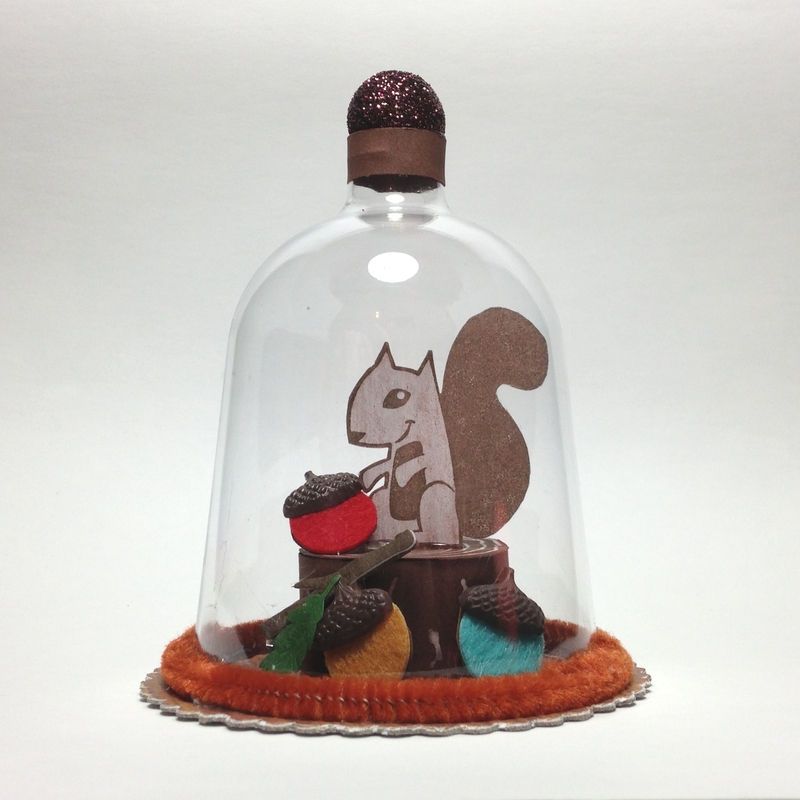 I made my own tree stump out of paper and pens, added cute little colorful acorns, and a rubber stamped squirrel. I can’t wait to make more of these for all kinds of holidays, occasions, or just for fun. 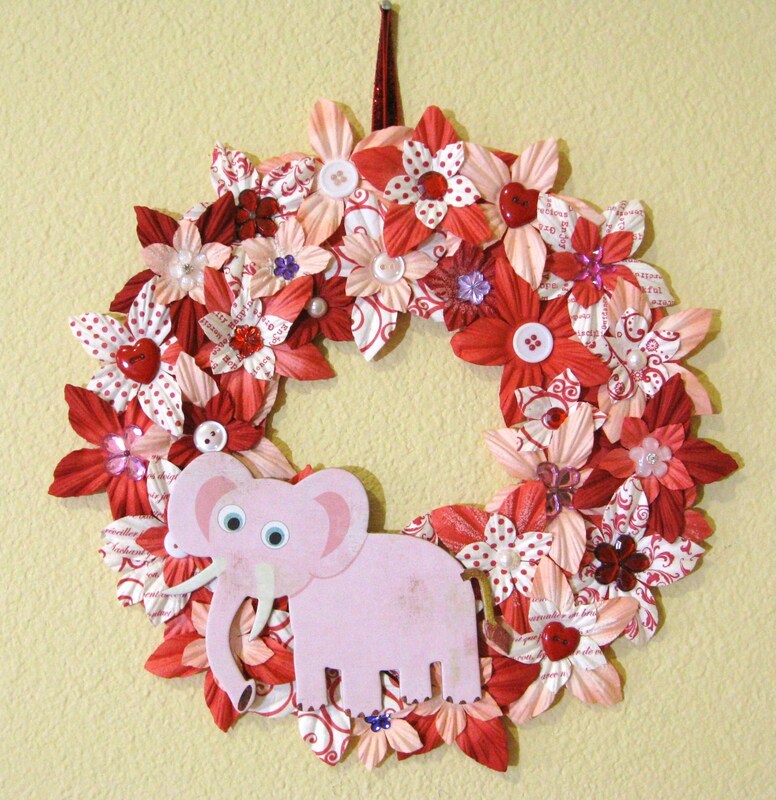 This craft is a great way to pass the time with family and friends. The materials don’t cost much, especially if you utilize your rubber stamps, or cut out images from magazines and photographs. Plug in your glue guns and have fun!